In the modern corporate world, small businesses need every edge they can get. With competition from larger regional companies and global conglomerates, small-to-medium-sized businesses (SMBs) will be facing quite a few challenges in the years to come. One of the biggest problems that small business owners have is competing with the much bigger IT budgets of larger companies. How can SMBs make use of advanced technology without investing hundreds of thousands of dollars into modern IT infrastructure? IaaS (Infrastructure as a Service) is the solution! 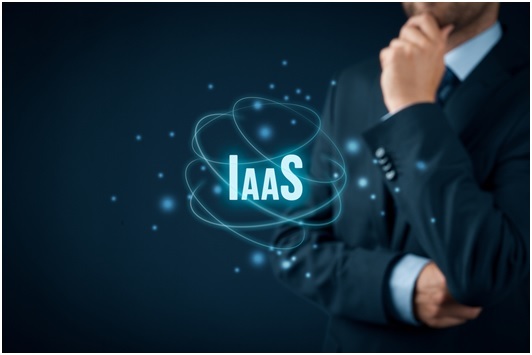 In an IaaS business model, a third-party IT service in Vancouver providers buys, runs, and maintains a piece of hardware, such as a database or server, and leases it out to other businesses – charging them based on their storage, computing, and bandwidth requirements. This provides SMBs with modern technology and saves them money simultaneously. Read on to learn more about the benefits of IaaS for small businesses. The cost of a new, top-of-the-line Oracle database is currently about $80,000 – and that doesn’t include the cost of installation, maintenance, licensing, or any other hidden costs. Obviously, that’s an absolutely titanic investment for any small business. Even if you have quite a bit of money set aside for investing in IT, it probably could be better spent developing your business, and spurring further growth. IaaS allows small businesses to use top-of-the-line IT infrastructure for much less. No initial outlay of capital is required, and all you pay for is the computing power and resources that you use. Modern databases, servers, and computing environments are incredibly fast – and IaaS IT service providers always invest in the very latest equipment. This means that, by upgrading from on-premises servers and databases, you can enjoy much better system performance – despite the fact that your IaaS provider is based in the cloud! When you use an IaaS service provider, you can be sure that your data is protected by the very latest anti-intrusion software, and is safe from destruction from natural disasters and other potential causes of data loss. This is because your data is backed up and redundant, and modern IaaS companies use advanced technology to protect your data – from both physical and digital attacks. When you run your own servers and IT infrastructure, the costs add up quickly. You have to pay for software and hardware upgrades, power consumption, heating and cooling for your server room, and you have to pay IT staff and administrators to oversee everything, and ensure that it is operating correctly. This all adds up to a lot of money spent on simply maintaining your existing IT infrastructure. But with IaaS services, you can reduce your costs dramatically. You don’t have to pay for maintenance or upgrades, and you can reduce your number of IT staff without losing any functionality. An IaaS model makes it easy to scale up – or down – as your business grows and shifts. If you require additional storage or processing capacity, all you have to do is contact your IaaS provider, and ask for it! This allows you to rapidly expand your IT capabilities whenever you need to. You can also scale down, when required. If you are refocusing your company, or have found out that you’re paying for more IaaS capacity than you need, you can simply renegotiate your contract and pay for a smaller amount of processing power and storage. This allows you to save money, and makes your business more responsive and agile. Infrastructure as a Service – The Secret Weapon For Your Small Business! Modern IaaS providers allow you to access high-tech, advanced IT systems for a fraction of the cost of running them yourself. So think about how your company can benefit from IaaS services – you can save money, time, and headaches! Not only that, you’ll be in a much better position to compete with larger companies, since you’ll have access to the same powerful tools that they do, such as Big Data analytics and Business Intelligence platforms.